We can all help prevent suicide. Here are a few free, confidential resources for yourself or a loved one in distress that are available nationwide and around-the-clock. If you are feeling suicidal, there is hope. It is safe to speak up – get help now! Text HOME to 741741 from anywhere in the US, anytime, about any type of crisis. A live, trained Crisis Counselor receives the text and responds quickly helping you. It usually takes less than five minutes to connect you with a Crisis Counselor. (It may take longer during high-traffic times). 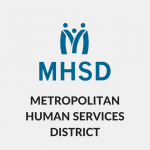 Call 504-826-2675 for the Metropolitan Human Services District 24/7 Crisis Hotline. Person-centered support and services are available and are provided to eligible individuals with mental illness, addictive disorders and intellectual and/or developmental disabilities in Orleans, Plaquemines and St. Bernard parishes in Louisiana. 1-800-273-Talk (8255). Lifeline Crisis Chat is a service of the National Suicide Prevention Lifeline in partnership with CONTACT USA. It is the first service of its kind where crisis centers across the United States have joined together to form one national chat network that can provide online emotional support, crisis intervention, and suicide prevention services. All crisis centers that participate in the Lifeline Crisis Chat program are members of the Lifeline phone network and are required to be accredited by CONTACT USA in the area of online emotional support. If you’re thinking about suicide, you deserve immediate help—please call the Trevor Lifeline, an LGBT crisis intervention and suicide prevention hotline, available 24/7 at 866-488-7386. 877-565-8860 Trans Lifeline is a hotline staffed by transgender people for transgender people dedicated to the well-being of transgender people. Trans Lifeline volunteers are ready to respond to whatever support needs members of our community might have. If you or someone close to you is experiencing suicidal thoughts or feelings, having a safety plan can help you get through the tough moments. Convenient and confidential, BeyondNow puts your safety plan in your pocket so you can access and edit it at any time. You can also email a copy to trusted friends, family or your health professional to help them support you.